Blogoversary – Escape Reality, Read Fiction! On April 4, 2011, Reading Reality, as “Escape Reality, Read Fiction”, posted its first post. 2011 seems like the proverbial long time ago in the galaxy far, far away. Although it wasn’t THAT far away. At the time, we were living in Gainesville, Florida, and planning a move to Atlanta. Our first move to Atlanta. Between 2011 and now, we moved to Seattle for a couple of years, and then right back here to the Atlanta suburbs. We even live in the same burb we lived in back then, just at a different address. It’s still near Galen’s work, and now mine as well. And we’re both immensely glad not to need to take the Atlanta not-so-Expressways to work every day, especially after that disastrous fire and collapse on I-85 last week. It’s going to take a long time to clean up that gigantic mess. As much as we like living here, one of the big things I miss about both Chicago and Seattle is their efficient public transit systems. Maybe this will be a wake-up call for the Atlanta region, but I doubt it. We’ll see. But this isn’t a traffic blog, or an Atlanta living blog. It’s a book blog. Six years and counting. In those six years there have been over 2,500 posts, most of them reviews. And over 17,000 comments. I know I need to do way better at responding to comments. Ironically, I usually know just what to say when I’m reviewing a book, but still come over self-conscious when responding to an individual. We all have our quirks. 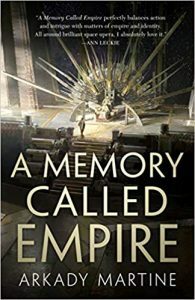 But speaking of reviews, this week I decided as a present to myself (my birthday is tomorrow) that I would only review books I really, really wanted to read. So it’s all science fiction and fantasy this week, because those are still my go-to genres. Both The Lord of the Rings and Star Trek have a lot to answer for when it comes to my reading preference. And, in the spirit of The Lord of the Rings, this is a hobbit birthday. Meaning that instead of getting presents, I will be giving out presents this week to you, my readers, followers and friends. I hope that you enjoy the books and gift cards every bit as much as I have enjoyed writing this blog. Live long, and prosper! And read LOTS of books! The teddy bear and I welcome you to my fifth annual Blogo-Birthday celebration! I still have the original bear somewhere in the house. I’m sure he’s holding down a bookshelf somewhere, as he should be. Today is Reading Reality’s 5th birthday. Tomorrow is my 50-something birthday. Here on the blog, I celebrate birthdays Hobbit-style, meaning that I give away presents instead of getting presents. 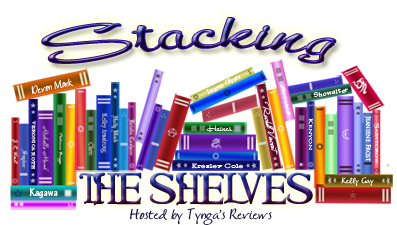 Today’s prize is a $15 Gift Card or a book of the winner’s choice, up to $15 in value, shipped by the lovely folks at The Book Depository. The rest of the week I’ll be giving books away, either courtesy of the publishers, the authors or my own self. 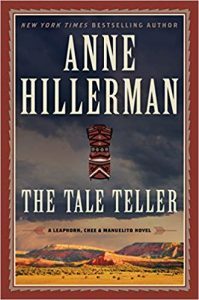 There should be something to tickle every reader’s fancy. It’s hard to believe it’s been 5 whole years since I started this blog. And also the fact that none of this technology was even a gleam in an inventor’s eye when I was born, 50-something years ago tomorrow. I helped build my first PC from a kit in 1979. The joke was that the first program most people wrote for their new computers was a program to calculate the payment schedule. Home computers were very much a niche item, and they weren’t cheap. The other joke was that one’s dream computer cost around $5000, and it probably still does. But we’re able to dream a lot bigger when it comes to computers than we used to be. And $5,000 isn’t what it used to be either. 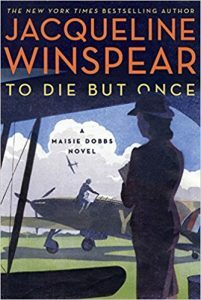 I’ve written a lot of posts in 5 years, and a lot of book reviews. There have been over 2,000 posts on Reading Reality in 5 years, most of them written by yours truly. While I’m sure there’s a word counter somewhere in the Jetpack Site Stats, I’m not sure I want to know. There have been not quite 13,000 comments in 5 years. And over 120,000 page views. I’m not sure whether this is a “time flies when you’re having fun” kind of comment, or something about how big the numbers get if you just leave them alone awhile to multiply. It’s still staggering. My best day, at least so far, was November 15, 2015. The Gratitude Giveaways Hop had just started, and that brought in oodles of traffic. My best month, at least since I got Jetpack, was January 2016. Hopefully there will be even better days in the year ahead. No matter how the stats add up, there’s no statistic that measures just how much fun it is to write every day, and how much joy (and occasional frustration) I’ve gotten from all the books I’ve read and all the comments I’ve received. Thank you for coming along with me on this journey. Stay tuned for more exciting adventures and fun books in the year ahead! It’s hard to believe that I’ve been doing this for four years! On April 4, Reading Reality turned a proud four years old. And on April 5, I turned a few times that many. My birthday. Which is where the term “blogo-birthday” comes from. The blog has a blogoversary, and I have a birthday and a new word is coined. Ta-Da! I was kind of hoping to have a bloggish makeover to reveal, but since I didn’t think of that brilliant idea until mid-February, I couldn’t get on the waiting list in time. Soon. Soon-ish. But this is definitely a day to celebrate. As usual, this is a Hobbit birthday. Which means I give presents to people who come to the party. 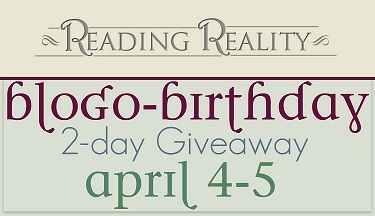 Because it’s Reading Reality’s fourth blogoversary, I’m going to give away four $10 prizes. It will be the winners’ choice whether they want an Amazon or B&N Gift Card, or a book from The Book Depository, which makes this an international giveaway. Because this is an anniversary for the blog, it’s time to look back and forward. The question in the rafflecopter will be me asking you for suggestions or pointers. What do you like? What sort of things would you like to see that maybe I don’t do, or don’t do often enough? I would love to hear your suggestions and comments! Thank you so much for following Reading Reality, and especially for stopping by to celebrate with me! Today is my birthday, so I’m not going to say much, just go off and celebrate. If you want to celebrate with me, my annual Blogo-Birthday giveaway started yesterday. 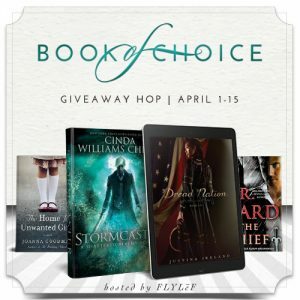 I’m giving away a $15 gift card and a selection of books. I hope you’ll take a look! Today is, believe it or not, the third anniversary of the founding of Reading Reality. In other words, it’s my blog’s birthday! As is my custom, I’m having a Hobbit birthday for us. That means that instead of getting presents, I’ll be giving some away. I want to share the joy. I also want to share a few books that need to get out and be loved by some lucky reader. These are my review copies, but because I usually get ebooks from NetGalley or Edelweiss, these are all unread, and waiting for someone to read them. So, how is this giving stuff away thing going to work? I’m giving away a $15 Amazon or B&N gift card to the first prize winner. Second prize gets to pick 4 books, and third prize is three books. Which books? Forgiving Lies and Deceiving Lies by Molly McAdams, Dash of Peril by Lori Foster, Retribution by Anderson Harp, and a signed copy of Tarnished by Karina Cooper. I also have 2 copies of The Clockwork Wolf by Lynn Viehl, so both winners get one copy. In the rafflecopter, just let me know which book you would pick first if you get to choose! And thanks for stopping by to celebrate with me!! 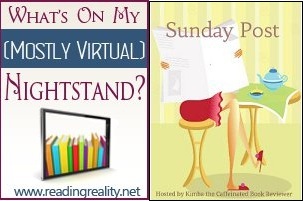 This weekend is part of the Reading Reality Blogo-Birthday Celebration. Sunday’s part of the celebration is that I get to tell you, one more time, all the chances that you have to win one of the bookish prizes! From the Blogoversary part, you have a chance to win a copy of either Ruthie Knox’ RITA nominated About Last Night, or her brand new Strangers on a Train story, Big Boy (review on Tuesday) or a $10 Amazon Giftcard. From the Birthday part, you have a chance to win a copy of the entire (and entirely yummy) Devil DeVere series by Victoria Vane. Or another $10 Amazon Giftcard. And, just for extras, there is also a chance to win a print copy of the first book in Robyn Carr’s new Thunder Point series, The Wanderer. You have until April 13 to put your hat into the rings, or your entry into the rafflecopters, for all the prizes. BTW, Mikki D. won the ebook copy of Temptation by Kathryn Barrett from Kathryn and Entangled Publishing. Guest Post: Q&A with Robyn Carr + Giveaway! The Blogo-Birthday won’t come around for another year. Boo-hoo. But there are still more good things ahead! This week I’ll have reviews of Ruthie Knox’ Big Boy and Victoria Vane’s The Trouble with Sin. It’s only fair after dropping hints about both stories last week in the giveaways. They are both definitely worth getting! 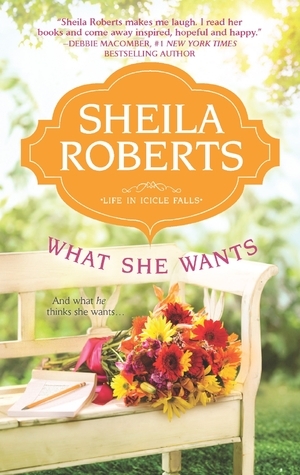 And in the middle, Sheila Roberts will be back to talk about the theme of friendship that runs through her stories, and she’ll be giving away a copy of her latest book, What She Wants. 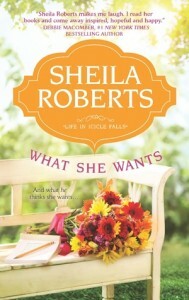 I’ll also have a review of this story of poker buddies turning to romance novels to figure out what women want. Does it work? Come and find out!